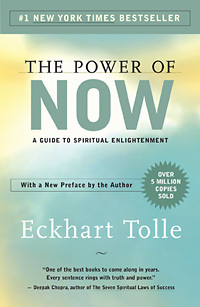 A word-of-mouth phenomenon since its first publication, The Power of Now by Eckhart Tolle is one of those rare books with the power to create an experience in readers — one that can radically change their lives for the better. Its profound yet simple teachings have helped countless people throughout the world find inner peace and greater fulfillment in their lives. We hope you’ll enjoy this excerpt from the book, in which Eckhart explains what first inspired him to write it. A word-of-mouth phenomenon since its first publication, The Power of Now by Eckhart Tolle is one of those rare books with the power to create an experience in readers — one that can radically change their lives for the better. In these challenging and unknown times, it is easy to lose hope. But can difficult times actually create more awareness and even a shift in consciousness? Can we in fact have an “evolutionary leap”? 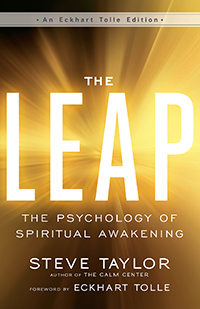 In Steve Taylor’s The Leap: The Psychology of Spiritual Awakening, we find that the world is always giving us opportunities for deepening our presence and awakening to the beauty and happiness that are always available to us. In fact, when our reality gets more intense and overwhelming, it can be an even bigger invitation to “wake up,” spurring an awakening process that we go through collectively as a nation and beyond. 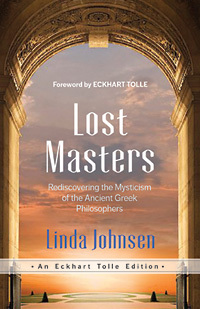 We are pleased to announce the release of Lost Masters: Rediscovering the Mysticism of the Ancient Greek Philosophers, the latest addition to New World Library’s Eckhart Tolle Editions imprint, which features books personally selected by Eckhart for publication. We hope you’ll enjoy this excerpt from the foreword written by Eckhart and the first chapter, in which author Linda Johnsen explains what inspired her to write the book.